You understand that you’ve to rent a Toronto airport limousine service to cater your requirements, but making the most of your limo service will need you to take into account what you truly require. So, now you’re wondering what are the “must-have” features in a Toronto limo. To help you, we’ve listed 5 must haves that your next Toronto limo firm should be offering. Since the main intention of hiring a limousine is to have highly efficient transportation, you should ensure that you selected limo facility is offering you with a professional driver. 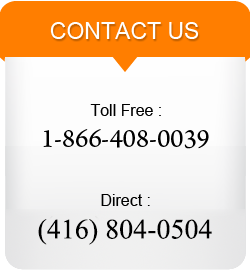 There are some Toronto limo services that will ask you to pay extra to enjoy the service of a chauffeur driven limo. So, always ensure that your limo company offers a driver with all other basic offerings. A full-service bar is a must, especially when you are looking for a limousine service for a special event, for example, birthday celebration, bachelorette party, etc. This facility permits you and your buddies to get started the party before even you arrive at your destination. The lighting can have a significant impact to life your mood. It is essential that your chosen limo service has a range of party and mood changing lighting that offers you a lively ambiance. When you’re going on a long distance journey, it is essential that you understand that how you’re getting to and from the terminal. After a long trip it won’t be comfortable for anyone to look for a ride. When you deal with a professional Toronto limo service that provides airport transportation, you already have access to a productive means of terminal transportation. All you have to do is just give them a call and plan your ride. It’s important that your selected limo service does offer this feature, since some firms will actively ignore going to the terminal. Tinted window is a must-have limo facility that must be provided by any professional limo service. When you require a limousine for an event or party, the tinted windows will produce a self-contained dynamic ambiance; for professional people, tinted windows convey an administrative status and allow them to concentrate on work. Most importantly, tinted windows disconnect you from the interruptions of the outer world – particularly dazzling lights. We at Toronto Airport Limos will take care of your Toronto Airport Limousine needs in the best possible manner. Our limousines have all the features mentioned above. Whether you want luxury transportation or economy traveling we have the vehicles to suit your needs. The professionalism of our chauffeurs will surely impress you.